2019 Preview: Most everything will be the same this season for the No. 42 team. 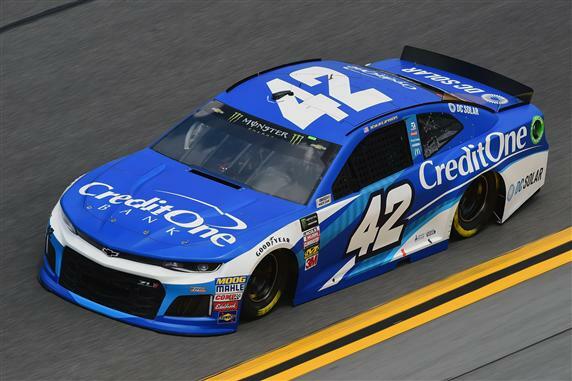 Chad Johnston will serve as the crew chief and CreditOne will be the primary sponsor. The team is looking to fill the sponsorship left by DC Solar (they have major legal troubles) for four races. They should have no problem finding someone to put their name on the car. Larson will have a new teammate in 2019. Kurt Busch will replace Jamie McMurray in the No. 1 car. It is no secret that Larson and McMurray did not work well together. They wanted to crash each other in the Richmond race last year. I expect Larson to work much better with Busch and the two should finish a lot of races in the top 10. It will also help that the Chevy teams had an offseason to straighten out the Camaro ZL1 car. I would not be surprised if Larson made it to the final four at Homestead. If he does, the other three drivers could be in big trouble.